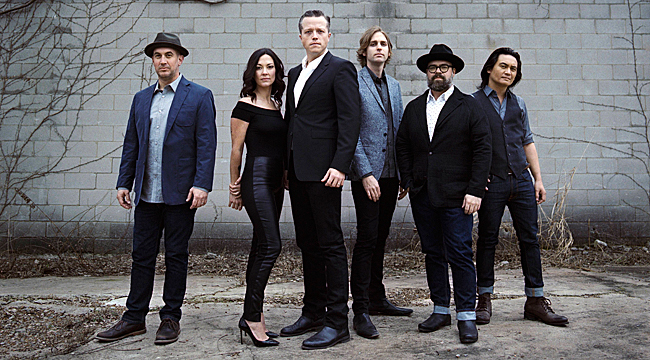 Born and bred in Northern Alabama, singer-songwriter Jason Isbell concocts a unique mix of country, rock and pop. Both with Drive-By Truckers and as a solo artist, he’s written songs with remarkable depth. With songs such as “Last of My Kind” and “White Man’s World,” his latest effort, The Nashville Sound, deals with a variety of social and cultural issues. For the first time since 2011’s Here We Rest, Isbell’s backing band, 400 Unit, receives co-billing on the album. 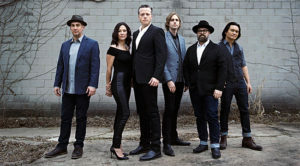 Isbell recently phoned us from his Nashville home where he had a few days off. It’s been about ten years since your first solo album. What was it like to make that leap from band member to solo artist? It was kind of difficult to get the first solo album together since I was still touring with the Truckers. I would just work on it for a couple of days at a time. At the time that we made that record I wasn’t planning on having a solo career, but it was really convenient when I found myself on my own to be able to go out and tour in support of something. It’s a lot different when you’re making a record as a side project than when it’s your main creative output. When you were growing up, your daycare consisted of going to your grandparents’ house and learning to play various instruments? Yeah, my granddad was a Pentecostal preacher. When I was really little we spent our days with them before we went to school. I would stay with them often during the summers too. He was a musician who played all sorts of different instruments. He could play fiddle, banjo, guitar and mandolin. He taught me how to play all of those but mostly guitar because he would play the instrument like banjo and I would play rhythm guitar. We did that for hours at a time. You picked up the mandolin? That came first because I was too small to hold the guitar when I was 5 or 6 years old. So that was the first thing I learned anything about. I’m not a very good mandolin player but I switched to guitar once I got older. You worked with producer Dave Cobb on your last three albums. How did you two initially meet? We met at a show in Nashville. I played a show at a small bar and he had recently moved to town and worked with people like Jamey Johnson and Shooter Jennings. I had heard some of the work he had done on a Secret Sisters’ record. I grew up with those girls. They’re from the same town that I am. I’ve known them since they were born, pretty much. They’ve been singing beautiful together since they were 5 and 6 years old. We did a soundtrack to Squidbillies, which I voice a character on. They enlisted different recording artists to do the Billy Joe Shaver theme song. We did one and the week before we had gone in, George Jones had done one with Dave. Dave’s version he did with George went through the entirety of George’s career. Sonically he only had few minutes to work with. But every few seconds, the sound shifted from George’s early work to the work he did in the ’80s and ’90s. It represented all his different periods. I just thought that was brilliant. I figured if he could do that, he must be a good person to work with. Southeastern was the first album you did with him. What was that like? It was a very hectic time. I was getting married while we were making that album. We wrapped up the tracking at Thursday night at midnight and we had a rehearsal dinner on Friday and I got married Saturday and Sunday I went in and finished a few things up before leaving for our honeymoon. It was a busy time. The record was made at Dave’s house. A lot of the vocals and guitars were recorded in his dining room, which is a big open room with one of those raised ceilings designed to make your family sound bigger and happier than they really are. It made a good room for vocals. It was a great experience. Dave helps you get the best out of the songs. What about working with him on the new record? It was different in terms of the setting. We recorded in the RCA Studio A, and I had my whole band with me. The studio in Nashville is a big beautiful room. The attitude and purpose is the same but the success of each album gave us a little bit of room on the next record so we could get better equipment and sit in the same room more while we were recording. Everyone can play at the same time instead of in isolation. The album opens with “Last of My Kind.” Talk about that tune. Sometimes people think it’s me narrating that song. I took some of it from my own experience. You have to do that. But it’s not entirely me. I’m certainly not that person but I can remember feeling alienated like the main character is. I called on memories of the people I grew up with. I came from a small town in Alabama. I know people who went off to college and didn’t make it or tried to move to bigger cities for more opportunity but didn’t quite find a place. I was trying to explain what that’s like. You reference the Cumberland Gap in “Cumberland Gap.” How has no one else written a song about it? It’s mentioned in the Bob Dylan rough sketch that became Old Crow Medicine show’s “Wagon Wheel.” They mention it but more as a location. Dave Rawlings has a song called “Cumberland Gap.” I’ve heard it and it’s not very similar to mine, but it’s a really good song. It’s funny the two would come out so close to one another, but everyone is thinking about that stuff right now. The political climate motivated me to talk more openly about that sort of thing. I think people have a responsibility to speak their minds in this day and age. My awareness grows every day if I do it right. I always thought I came from nothing and started at the bottom. But when I realized what the bottom really was, I realized that was something I never had to see. There were a lot of doors that were open for me automatically just because I was a white American male. The best thing to do is recognize that and realize that I’ve been given a lot of opportunities that other people haven’t been given. I assume “Anxiety” is autobiographical. Is that the case? Not completely. I was driving one day and that chorus popped into my head. When I got home, I got my wife to help me write that. The anxiety that I have is more of a day-to-day kind of thing than a real problem. I think anxiety has become a catch-all these days but I didn’t want to look at it that way. I wanted to look at it from the perspective of someone who has anxiety attacks that makes it impossible to function sometimes. You tour constantly. What do you like about playing live? Nowadays, it’s a lot easier. I can take my daughter and sometimes my wife joins us when she’s not playing her own shows. If I have my family there, that’s great. It’s also physically not as hard. The time on stage is so different from everything else in my life and I think it should be. That’s important to me. I don’t want to walk around feeling the same way about myself as I do when I’m standing there in front of 2,000 people, but it’s a beautiful thing still and I enjoy singing those songs as much as ever, even the ones I wrote 15 years ago. There are things there that I need to be reminded of.